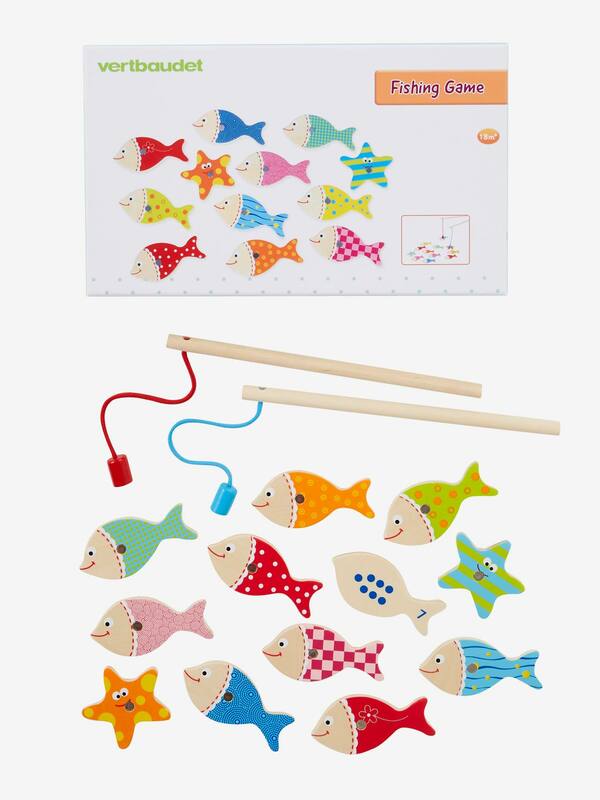 An original and fun game that will keep your little one entertained for hours! SIZE: Fish: 4x8.5x0.6cm, starfish: 5.5x6x0.6cm approx. 10 fish and 2 starfish. Fish and starfish pieces are numbered on the back. Helps baby learn to count and know who won. The cardboard box can be used as a bowl. Develops coordination skills and dexterity.